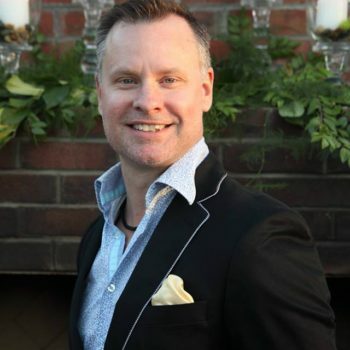 David Twigger is Creative Director and owner of Vermilion Events and Design Group. This nationally recognized design firm leads a team of award winning designers and styelologists. With over 20 years of experience in the hospitality and events industry David is looked at as a leader in stylizing events. Starting off his career in luxury hotels, David has worked for 4 and 5 star properties across the country. Volunteering his time as a board member for local chapters of Society for Incentive Travel Excellence, Hospitality Industry Professionals and the National Association of Catering and Events, along with several local charities including Aunt Rita’s Foundation and Healthy LifeStars. Multiple Award winner for his table-scape and event designs, David most recently was awarded the 2016 Zonie Award for Best Event Collaboration, along with winning the AFR Designer Challenge at the 2015 CaterSource Conference in Las Vegs and culminating with being named to Arizona Foothills Trendsetter list. Known for “beating to his own drum” David’s designs can always be picked out of the crowd. His award winning, “Game of Thrones Goes Glam” to his “Chemistry Couture” collection pushes the boundaries of design. Both of these has spawned his own collection of designer pillows. David’s years of travel have allowed him to work with top corporate clients and their events. Collaborating with some of the best of the countries creative partners allows him and his team to excel at event production in any atmosphere. David also took over and produced for 2 years the now award nominated Scottsdale Wedding Walk. Scottsdale’s top boutique bridal event. This speaks to his industry and community out-reach as this show included not only the top wedding industry partners but the entire neighborhood. For this work with the community David has been twice nominated for the Scottsdale Leadership program. You can also see David and his trendsetting ideas on his re-occurring design/style segment on the award winning Arizona morning show, Sonoran Living. A Phoenix native, David enjoys playing on local softball teams, hiking and working on his 1950’s red brick home in central phoenix.